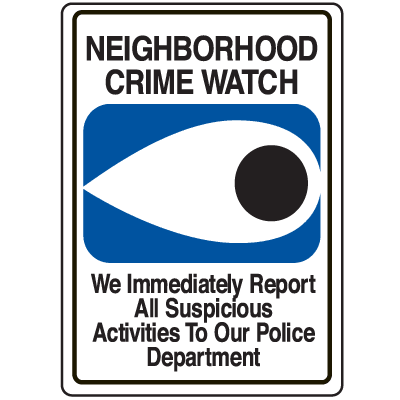 Crime Watch signs and Neighborhood Watch signs help deter potential criminals from doing any illegal activities. The knowledge that their activities will be reported immediately, and that the community remains vigilant is usually enough to discourage all but the most hardened crooks. Placement of these signs is key to get the most out of them. Ensure that these Crime Watch signs can be seen both during the day and in the evening by putting these in well-lit locations. It might also be a good idea to have multiple signs posted in various locations around the neighborhood to ensure that anyone passing by will see these. 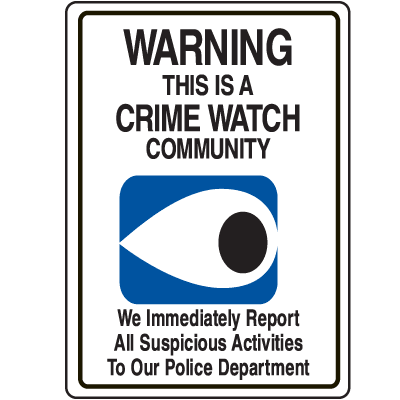 The use of Crime Watch signs is a good method for informing passersby that the area they are entering is safe and protected from crooks and thieves. More often than not, the threat of being caught is enough to dissuade lawbreakers from doing anything. 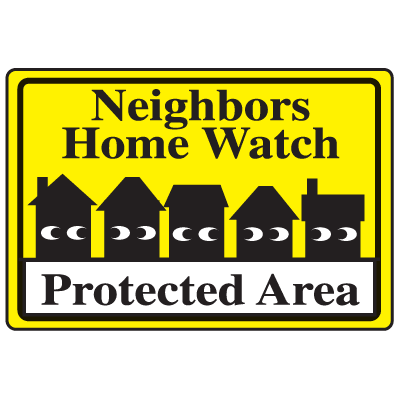 We carry a large selection of Crime Watch and Neighborhood Watch signs. Our collection of signs even includes heavy duty variants and a few select ones with graphics. Once you pick out the signs you need all you have to think about is where to properly place these. Just like most anything in life, location is important. 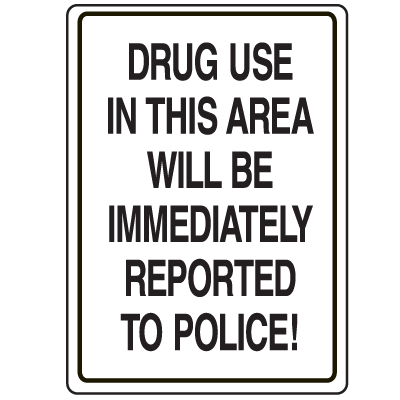 Make sure that these signs are posted in well-lit and highly visible areas. After all, it wouldn’t do anyone any good if these signs were hidden behind a tree or another sign post.It is also imperative that these Crime Watch signs be mounted securely and that these can withstand any weather conditions these might be exposed to. It might also be wise for you to consider picking up new sign posts for these crime prevention tools so that you can use your sign immediately and be assured that it will withstand the ravages of nature.